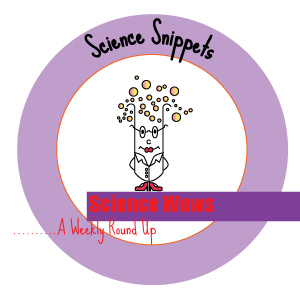 I get to read some really interesting reports and stories each week, as I try to keep up to date with what is going on in the world of science. I thought it might be nice to share some of the stories that really stood out for me; and what better time to start than on a bank holiday weekend. So, grab a coffee and find a comfy chair and dip in to the amazing and amusing world of science this week. Some ancient viral DNA lurking in our genome actually gets activated during early embryonic development… new research suggests that they may make the original retrovirus that then acts as a soldier, guarding against other invading viruses and keeping the embryo safe at a very vulnerable stage. Last Thursday NASA’s messenger satellite ended four years of orbiting, photographing and mapping the surface of Mercury. Ironically, once the satellite ran out of fuel, it impacted with the planet’s surface, at a speed of 3.9km per second, leaving it’s own impression on the landscape it has been monitoring. 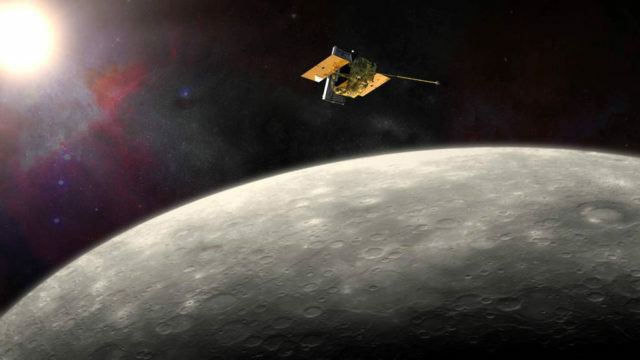 Just before the satellite fell out of orbit, it was announced that one of Mercury’s craters that it photographed has been named after the Irish musician and composer, Turlough O’Carolan. Astronomers are concerned for the safe operation of their radio telescopes after iRobot file for use of the same band of radio frequency, to assist operation of their new lawnmower-bots. The worry is that use of the same radio spectrum (transmitted from stakes marking lawn boundaries) anywhere within 88 km of the telescopes may sabotage their operation. Both sides are standing firm as the argument heats up. A new species of bird, the Locustella chengi or Sichaun Bush Warbler is very elusive and was only tracked down by its song. Meanwhile, a small Chinese dinosaur has caused quite a flutter; the pigeon sized animal not only has a very short name for a dinosaur, Yi qi, it was also unusual in that is had a feathered body and bat like wings! And then there was the zombie bacteria…. Silver has long been know as a great antibacterial agent, it plays havoc with every system of a bugs mechanics, even shutting down their genetic replication. What was unknown until recently, was that bacteria killed with silver products can still kill other bacteria … a zombie effect. It would appear that the bacteria soak up excess silver which leaches out, killing other bugs in their environment. If you came across any other science stories of interest this week please pop them in the comments below. Thanks for stopping by, have a great week!